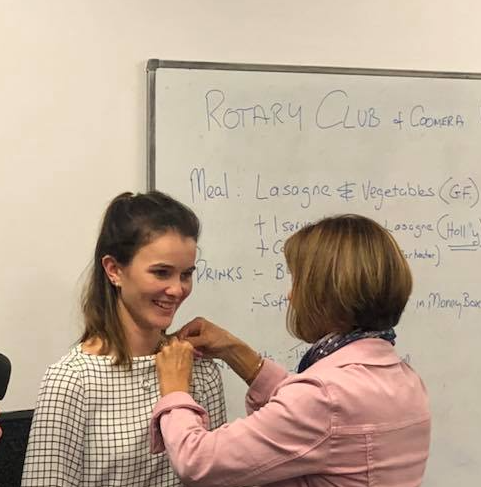 New member, Holly Rushton, inducted into the Rotary Club of Coomera Valley. 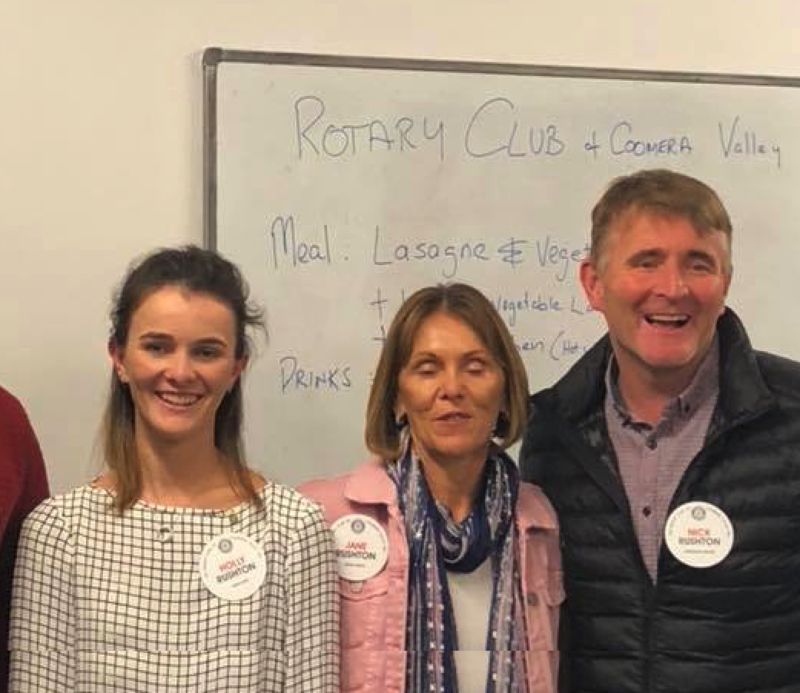 A very special night for the Rushton family as our youngest member ever is inducted as a member. Holly graduated from Griffith University with a Biomedical Science Degree in 2017 and we are all very excited to have Holly as a member. Congratulations to Holly and to her very proud parents Nick and Jane. The induction was held on our very first meeting at the Oxenford Coomera Community Youth Centre. The excellent food on the night was catered through Tahbella, a local cafe that many of our members have frequented.